Celes Care, a digital healthcare start-up is India’s first virtual health clinic for women. 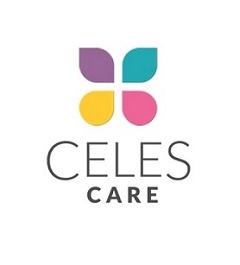 Founded in 2016 by Silicon Valley entrepreneur, Mr. Raghu Bathina and US Certified Interventional Radiologist, Dr. Rajah Koppala, Celes Care aims to provide women of all ages with state of the art, tech-enabled telehealth services delivered 24/7 through medical professionals, who are trained on international best practices. The company has a team of well-trained female doctors and advanced technology platforms such as Electronic Health Records (EHR) and health feeds, which are licensed from USA. Some of the significant women health issues addressed by the online service include: fertility, pregnancy, thyroid, PCOS, weight control, menopause, etc. Women can use their mobile phones to connect with a trained female physician in less than a minute. Celes' empowering, patient-centric approach has already helped over 6000 women during the company’s pilot phase. Ventureast co-invested in a Pre-Series A round of funding in 2016 and is closely working with the Celes Care team who are committed to revolutionize health care accessibility via their unique combination of deep medical expertise and technology innovation.